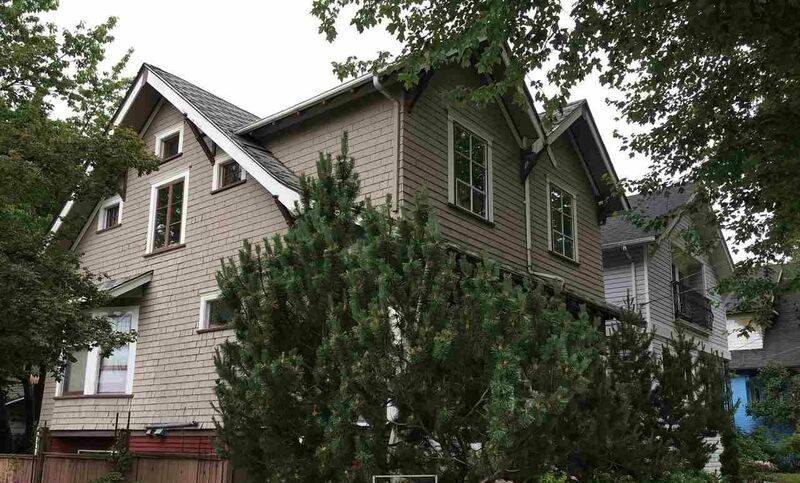 Attractive character home on a corner lot near the Commercial Drive Skytrain and shopping. Beamed Ceilings, stained glass, wainscotting and original millwork retained in this house which contains 3- 2 bedroom suites generating $6640 per month or $79,680 per annum. Top floor rents for $1980, main $2100, basement $1950, Garage and carport $600 and laundry $100 per month. New hot water tank and high efficiency boiler installed in 2017. Live on the main floor and collect $4530 per month to help pay your mortgage! Great investment and excellent long term hold in an area that is being redeveloped potentially to higher density. Tenant occupied with showings arranged by appointment only. Please do not disturb the tenants.